One of the lessons that, unfortunately, we learn early on is that bad things happen to good people. There is not always a reason you can assign to the random events that occur in the world – some things are just disorganized chaos. Because if things did happen for a reason… it wouldn’t have been Adam. It started with cramps. Adam was able to logically attribute muscle soreness and weakness to other factors for a while… but soon it became apparent something else was going on. Something much worse. Sometimes, he told us, he’d just be sitting on the couch and his muscles would begin violently spasming. “How many other guys do you know,” he joked, “who can sit on the couch and do a full workout? !” He kept light of the situation with humor, and still does, but it was anything but funny. It was terrifying. By late 2012, the symptoms had worsened to a point that they could no longer be ignored. 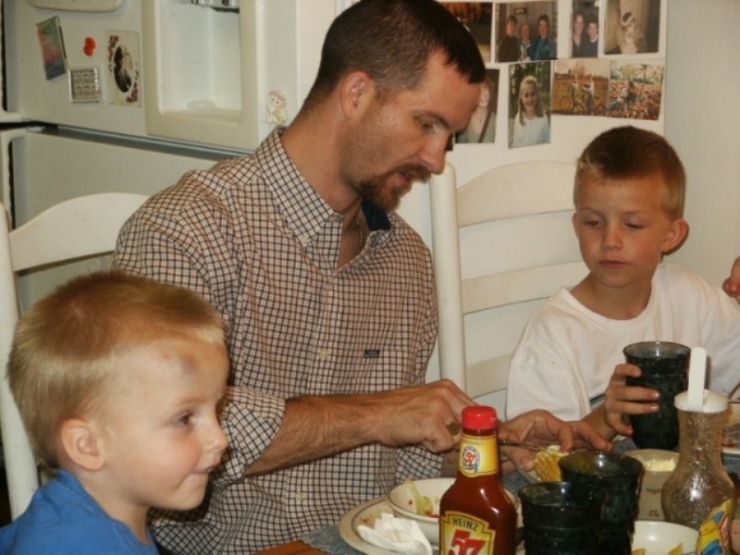 After rounds of testing and weeks of holding his breath, the diagnosis came in: Adam had Amyotrophic Lateral Sclerosis, otherwise known as ALS. This unforgiving nervous system disease (also known as Lou Gehrig’s Disease) slowly breaks down nerve cells – compromising them until they cannot function properly as muscle support. There is no known cause, and there is no known cure. So, he stayed at his position until 2013, when an event occurred that marked the final chapter in his career as a First Responder. 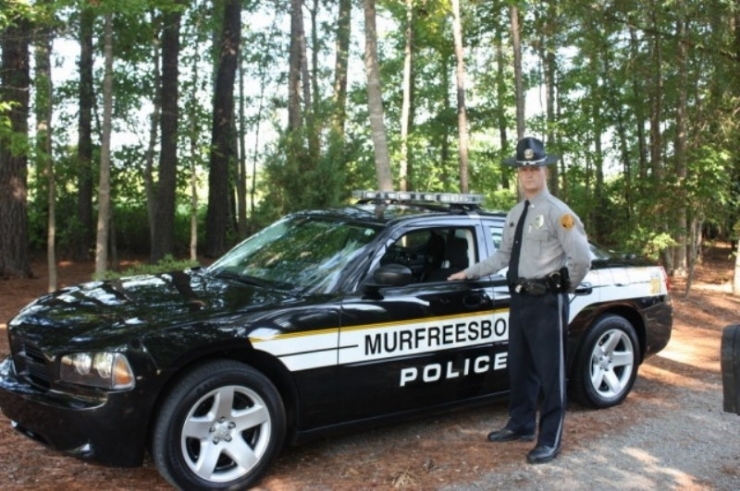 One night on patrol, he was the first to arrive at the scene of an armed ATM robbery. He and the offender got into “a scuffle,” and while he and the other man were struggling for their weapons, Adam’s muscles seized up on him. He had lost control of his body. Finally, Adam was able to take the offender into custody, but it had been a close call. Too close. 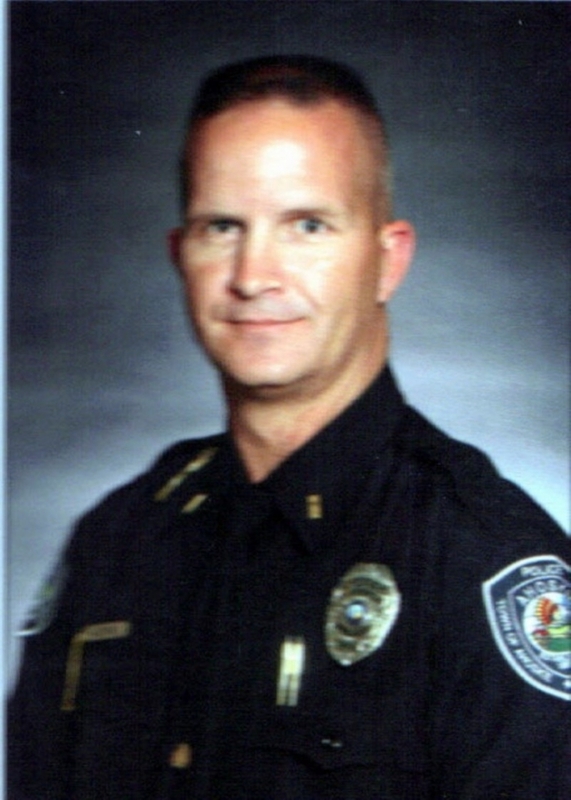 Adam built a successful career in Law Enforcement, serving the same community in which he was raised. 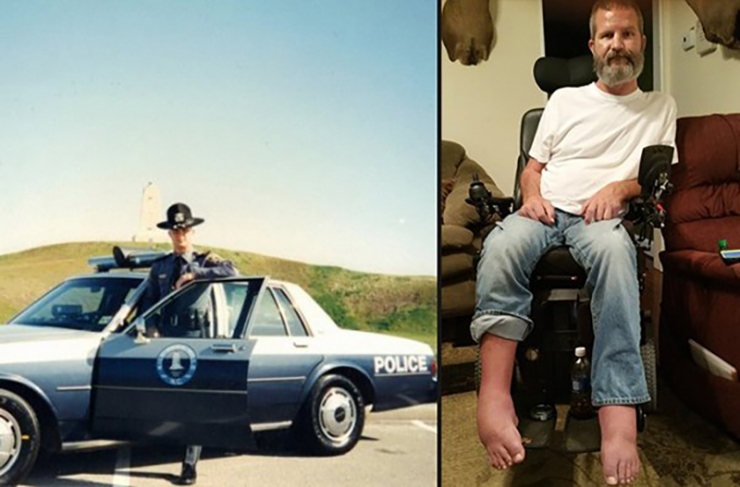 He achieved the rank of Lieutenant and continued to serve until September 8, 2013, when he was forced to leave the job he cherished so much due to the progression of his disease. It was one of the hardest days of his life. Adam has two sons, Hunter and Holden. Being their father is his favorite and most important role. 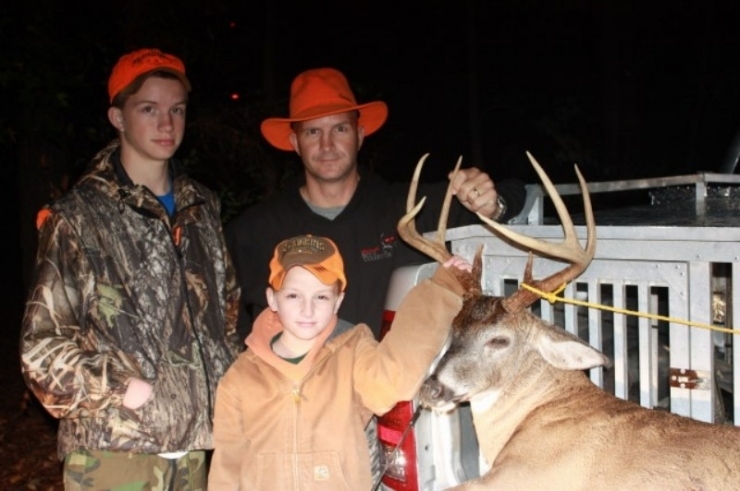 A “lifelong hunter and outdoorsman,” Adam spent as much time as possible in the woods with his sons. He greatly looked forward to these trips together and the bonding that it afforded them. 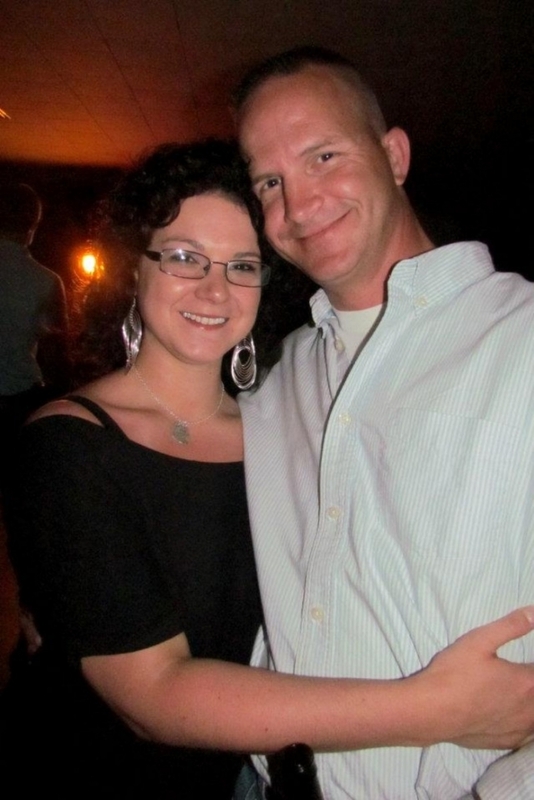 Adam before his diagnosis and his wife, Renee. How could Adam have known those suspicious muscle cramps were a warning sign? A foreshadowing of the darkness that was closing in around him: the loss of his control over his body, the loss of his career, his mobility, and then – finally – his most basic sense of independence. It isn’t fair. But we have seen firsthand how unfair life can be. We have watched time and again how really, really bad things happen to really, really good people. And it seems like you can’t trust the world anymore. It seems like theres no logic, no order. It all seems hopeless. But the thing about facing the darkest period in your life is that you realize what kind of impact you’ve had on the world. You find out who will be there for you… even when you don’t ask for their help. And Adam has had a profound impact on the world. The moment he retired, the entire community made themselves available. They created and coordinated caretaking schedules, pick ups, drop offs. They opened their homes to Adam when Renee had to work late. They traveled hours to sit with him and pass the time. They threw a benefit on behalf of the local Law Enforcement in Adam’s honor and had to extend it to 2 nights because of the overwhelming response. They raised money to help with accumulating medical expenses. They were there to drop anything, at any time, for Adam. Because that’s what he spent his life doing for them. It took some time, but family and friends were finally able to convince Adam that he, too, deserved this. He deserved a little help. 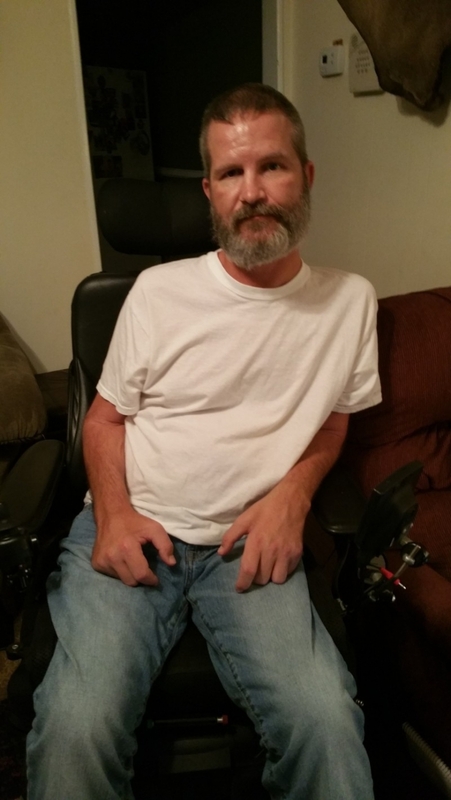 Adam was now fully dependent on his wheelchair and he did not own a wheelchair-accessible van. 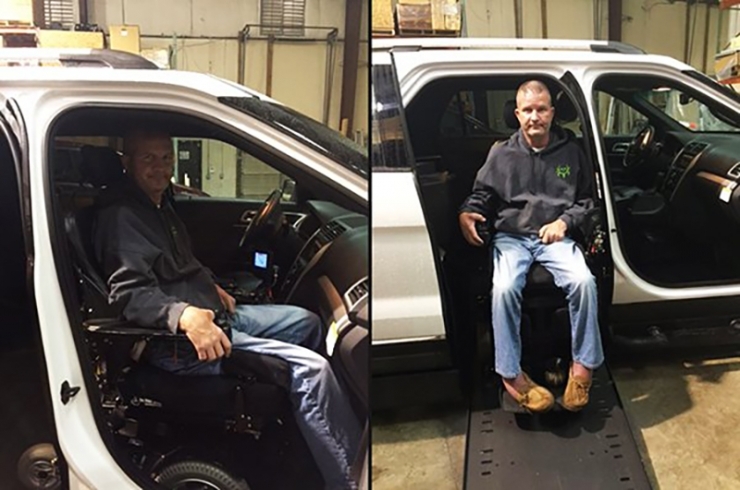 Every time he took a road trip to Charlotte or to his ALS support group, he had to rent a vehicle that could accommodate his wheelchair. 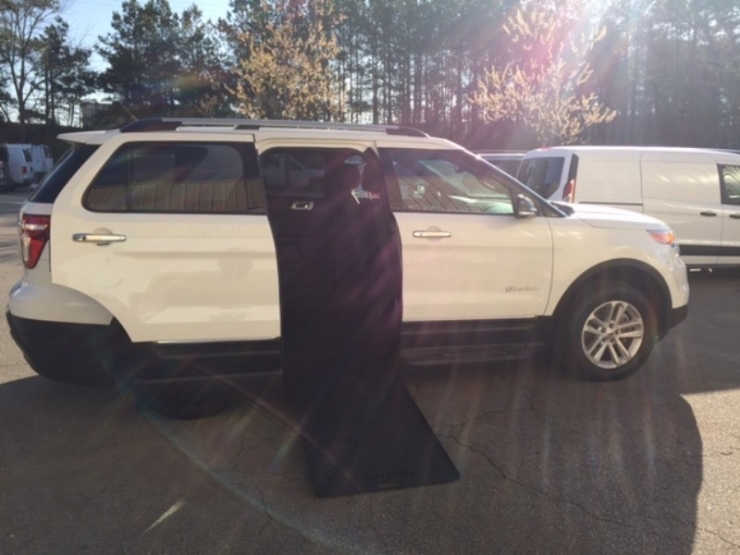 So Chive Charities came through with a 2015 Ford Explorer that had been modified to be wheelchair accessible. We chose an SUV because it has higher ground clearance than a van, so Adam will finally have the opportunity to get back into the woods and enjoy the outdoors with his sons. But sleep also presented an issue to Adam. He could no longer sleep in his bed because it did not give him proper support. Every night he slept on the couch so he could elevate his head and his feet. That meant sleeping apart from his wife, Renee, who would sometimes sleep on the love seat in the living room just so she could be closer to her husband. With an adjustable king-sized bed, Adam and Renee finally get to sleep in the same bed, while keeping Adam comfortable. His asks are simple, but when your entire life becomes unrecognizable to you, it’s the simple things that can provide the greatest joy. 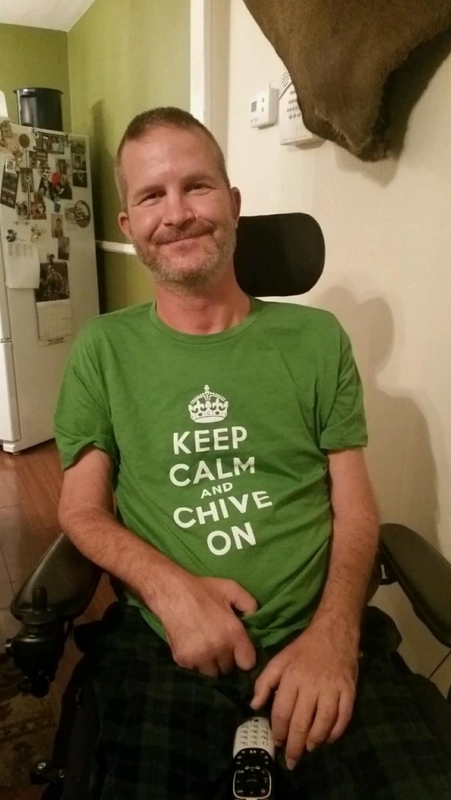 We are honored to help restore any ounce of normalcy to Adam’s life. With a $70,000 grant, we were able to repay some of the debt we owe Adam. “I greatly appreciate everything,” Adam said to us before we hung up the phone, “I really do.” Well, Adam, the feeling is mutual. Chive Charities is committed to coming to the aid of our First Responders when the tables turn, and they are the ones in need of help. It is our honor, and our public duty, to provide financial assistance to those who serve and protect us. If you or a loved one are a First Responder with a medically-related need, please apply for a life-changing grant. Our Chive Charities members are the ones who step up and respond to the call – without you, we would not be able to change lives. To become a foot soldier in our battle to improve the world, become a member today.